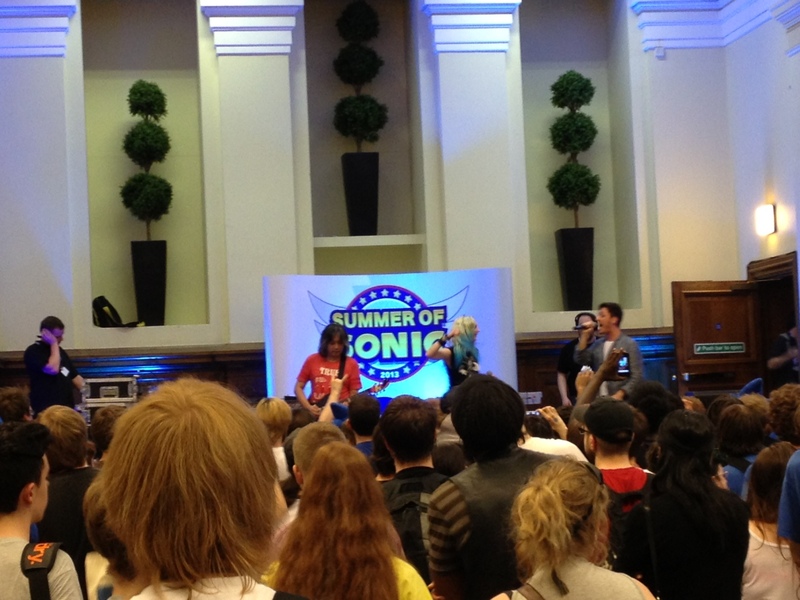 It has been a few years since I last attended Summer of Sonic, and this year’s event proved bigger than expected. The queue of fans was definitely at least twice the size from the last time I attended. Fortunately, the staff members at the door were extremely efficient and managed to process all the the tickets in record time. 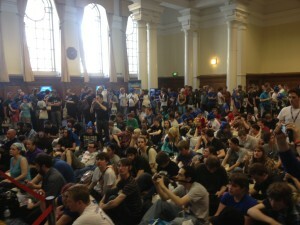 The convention was split up between two rooms within the posh Westminster location. 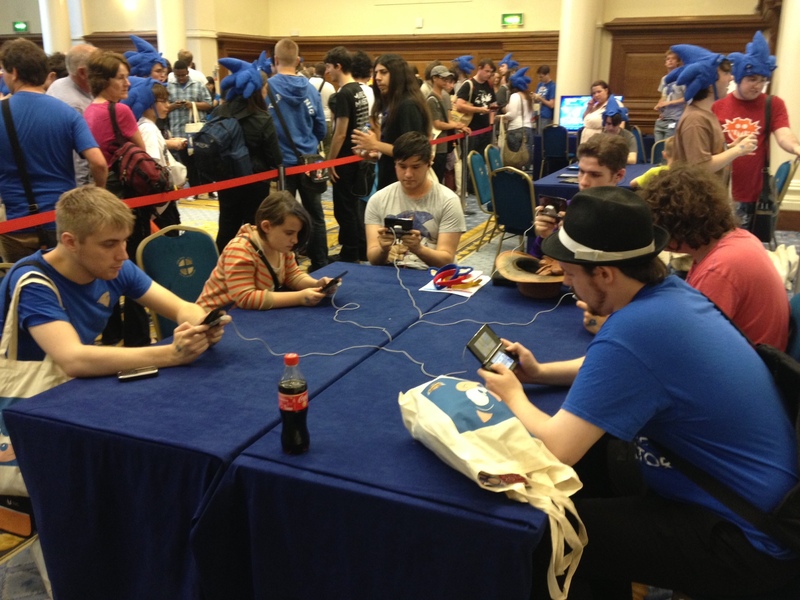 The first room that most attendees speed dashed their way to was the location for the stage and video games. 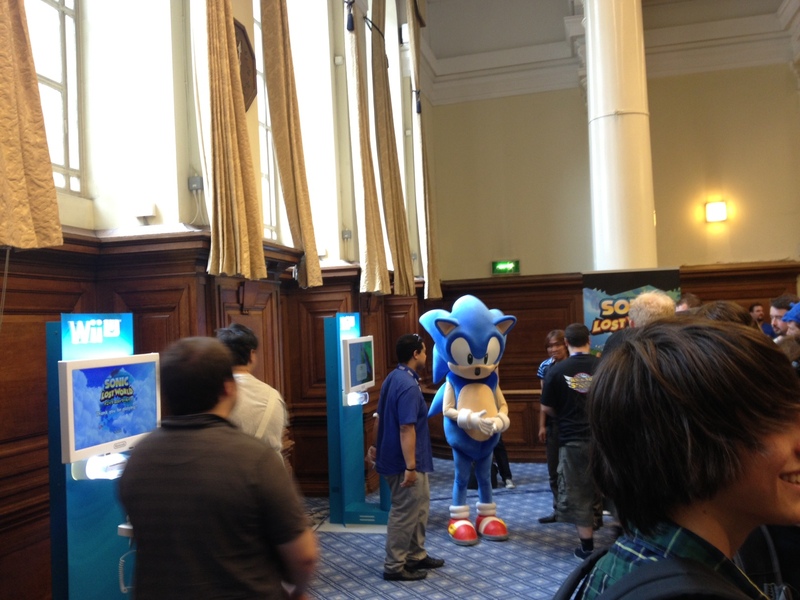 It’s expected but the queue for the Sonic: Lost World on Wii U demonstration pods was always quite long. Those who wanted to try the 3DS version were in luck as it was a lot more feasible to try it. Anyone who felt confident about their racing skills could also join in the Sonic & All-Stars Racing Transformed competition. It was safe to say that anyone interested in trying out upcoming Sonic games most likely left the convention even more eager to play the full Sonic: Lost World video-game. As usual, there were various activities set up on-stage throughout the day. Never mind the Buzzbombers was popular with the crowd and the guys did a great job with the set. The Mega Drive band got the crowd going with some top music tracks from Sonic and other games from the 16-bit era. The sight of fans dancing and humming along to the likes of Sonic 3 & Knuckles and Streets of Rage music was special. It means a lot that even the younger generation in the crowd understood the important of the Mega Drive and how it helped shape what we know as gaming today. A packed house of SEGA fans getting ready for a question and answer session with Kazuyuki Hoshino and Takashi Iizuka. There was also a Q&A with Kazuyuki Hoshino and another opportunity to ask Lizuka-san questions. Both were in good spirits and happily answered all sorts of questions from fans. 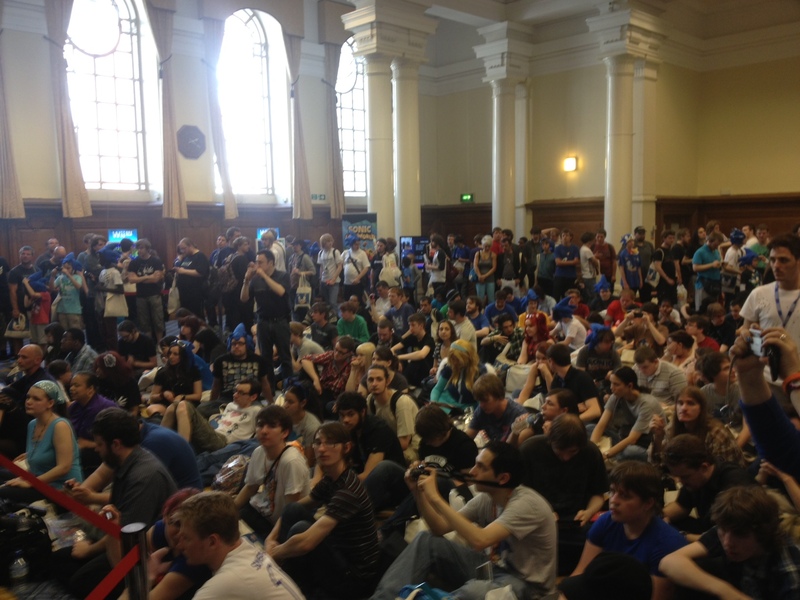 These were possibly the times that the room was busiest with fans sitting down on the floor – so everyone could get a perfect view of each session. The other room was where fans could purchase all kinds of Sonic merchandise and get involved in the art corner. The amount of items on sale was nothing short of impressive. It was also surprising to see that everything was reasonably priced. No wonder that some items had almost sold out by the end. 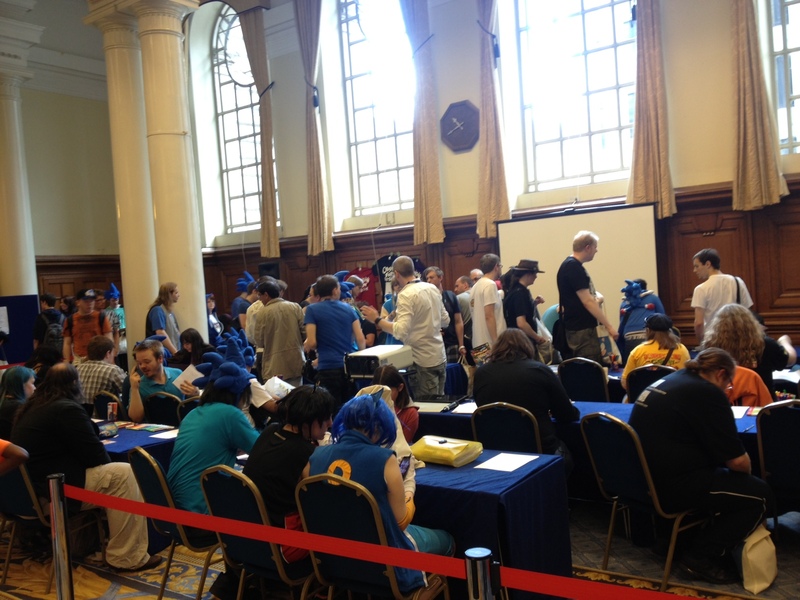 This room was also where fans were able to join queues to get autographs and photos with the likes of Jun Senoue. The queues were rather long but it seemed like everyone managed to get an autograph. It was all done in an orderly manner and it was certainly a credit to Sonic fans who are often portrayed as unruly in the industry. Both the art and cosplay contest were very popular with plenty of entries. The cosplay this year was nothing short of incredible. The fans really took the contest seriously with costumes that looked both professional and unusual. In fact, it was refreshing to see fans dressing up as some of the lesser known characters. As for the art contest, there were a few masterpieces that would probably not look out of place in the Sonic comics. There were so many entries that a big box was used to store them until the owners claimed them. 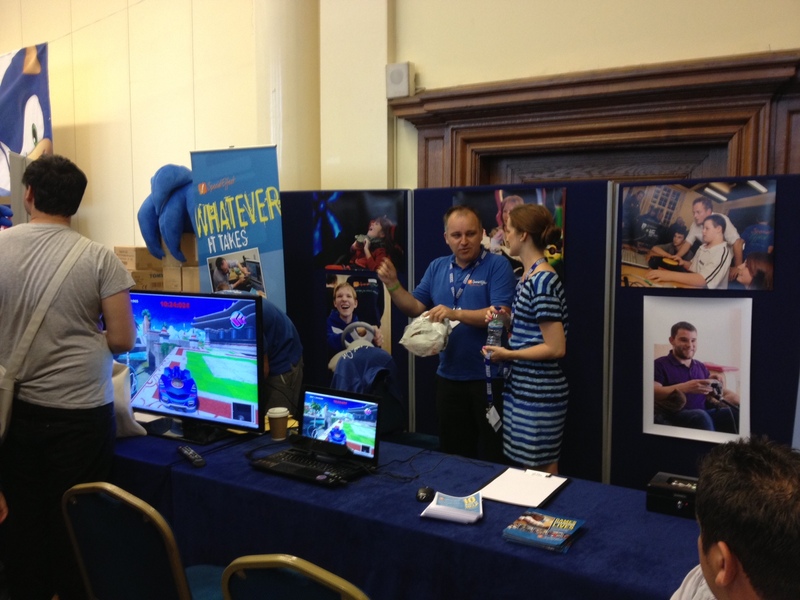 There was also an appearance from the SpecialEffect team. These guys were demonstrating how with the use of technology, anyone could play video games, regardless of their disability. The demonstration included a special set-up where anyone could see how this technology worked with Sonic & All-Stars Racing Transformed. It’s nice to think that this company will make it possible for more people to experience Sonic and other Sega games. The convention ended with Jun Senoue (and a few surprise guests) going up on the stage to play some music tracks from various modern Sonic games. 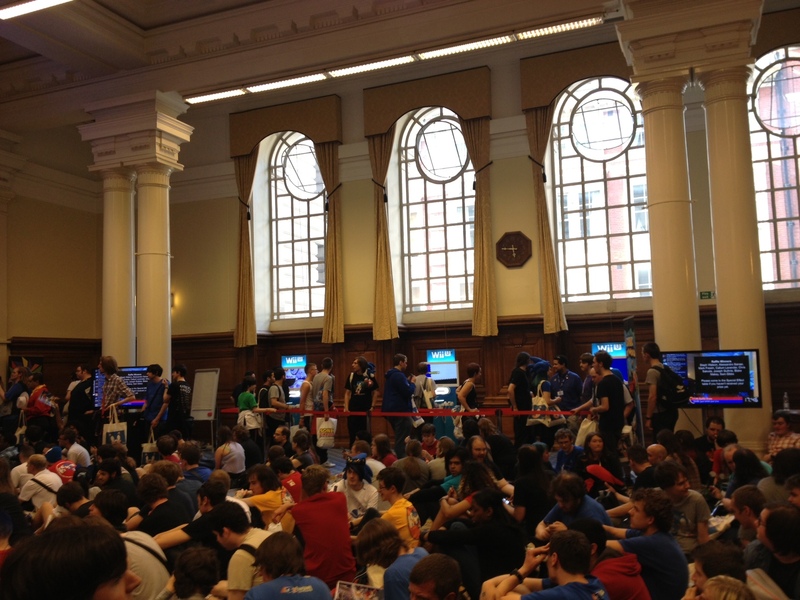 It’s not surprising that the crowd went absolutely wild with the likes of music from Sonic Adventure 2 being played. 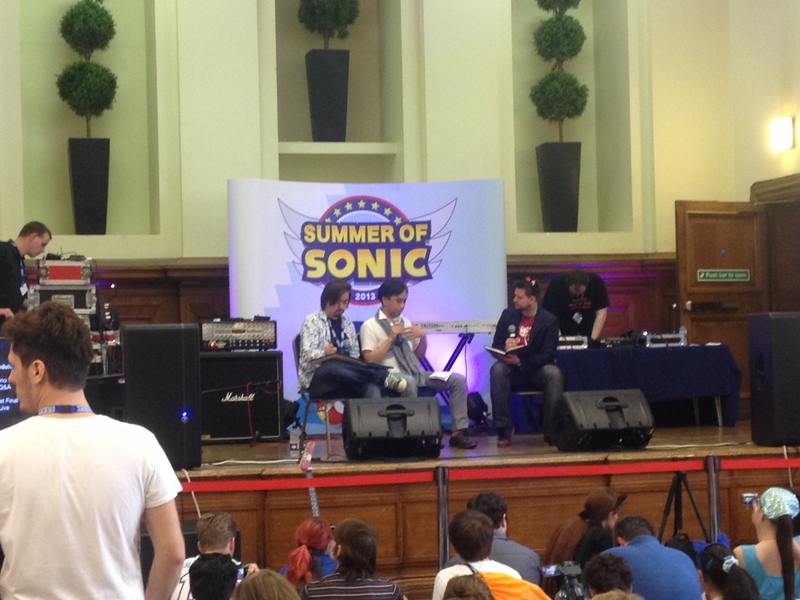 This year’s Summer of Sonic was possibly the best I’ve attended (although I did miss a few). Perhaps the best part of the day was seeing both younger and older Sonic fans enjoying the various activities. This was a convention for fans and the staff worked tirelessly to ensure that they were being treated accordingly. Even the special guests were walking around and happily engaging in conversation with fans. It was truly the convention that brought everyone, involved in the Sonic universe, together. Everyone who attended also walked away with a tote bag full of items like a Sonic hat and a special comic book. Finally, we would like to thank the Summer of Sonic staff for working so hard on ensuring that all of this happened. The queue to get in was rather long. 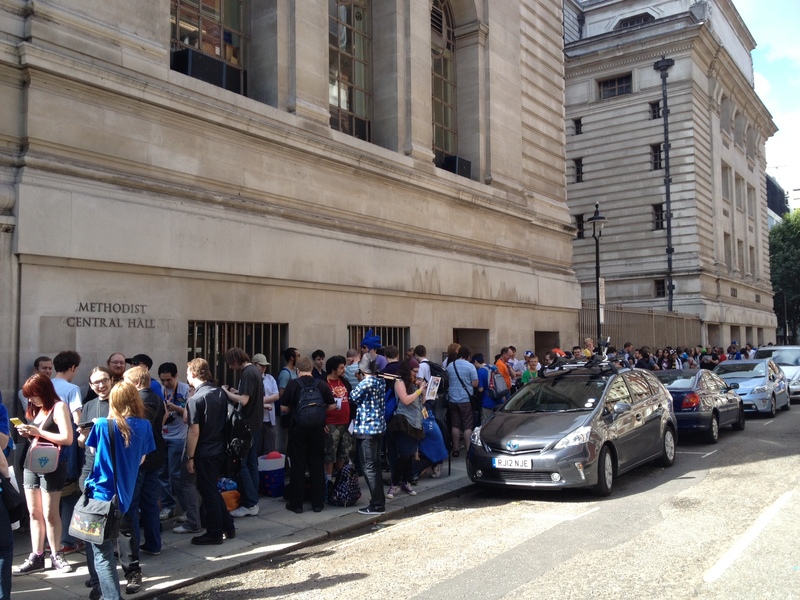 As was the queue of eager Sonic fans that wanted to try Sonic: Lost World on the Wii U. Even Sonic couldn’t resist having a go on his own video-game. The queue for the 3DS version of Lost World was smaller, but lots of fans wanted to try it. Everyone eagerly waiting for one of the Q&A sessions. Kazuyuki Hoshino being asked fan questions. 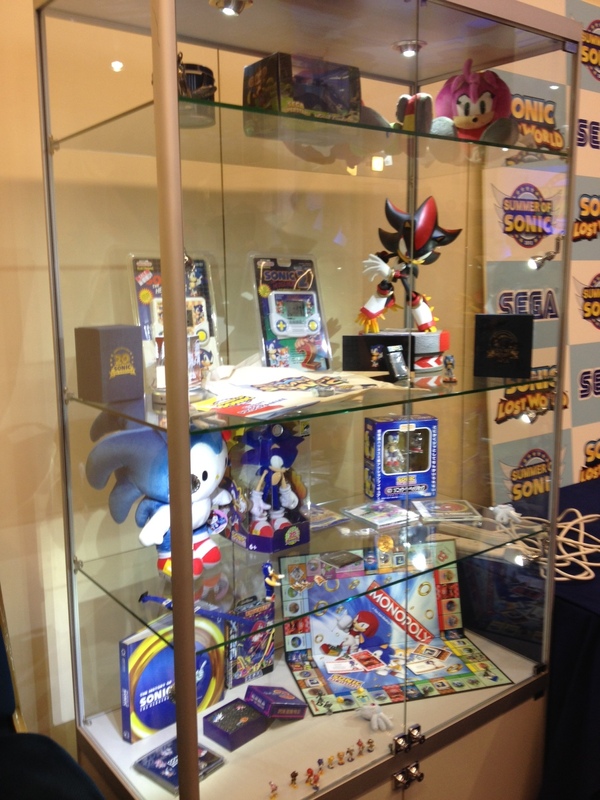 The merchanise display otherwise known as the holy grail for Sonic fans. 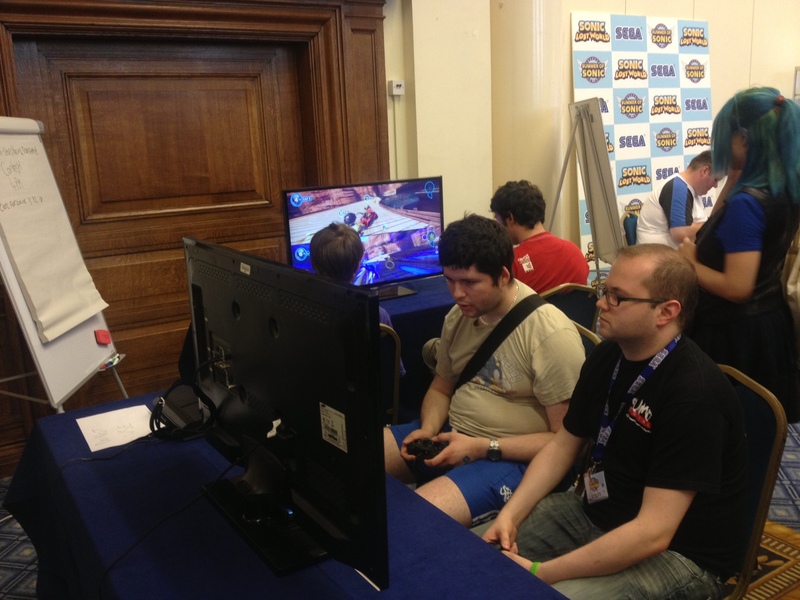 Tim Spencer – Game Designer at Sumo Digital – being challenged to a race on Sonic & All-Stars Racing Transformed. 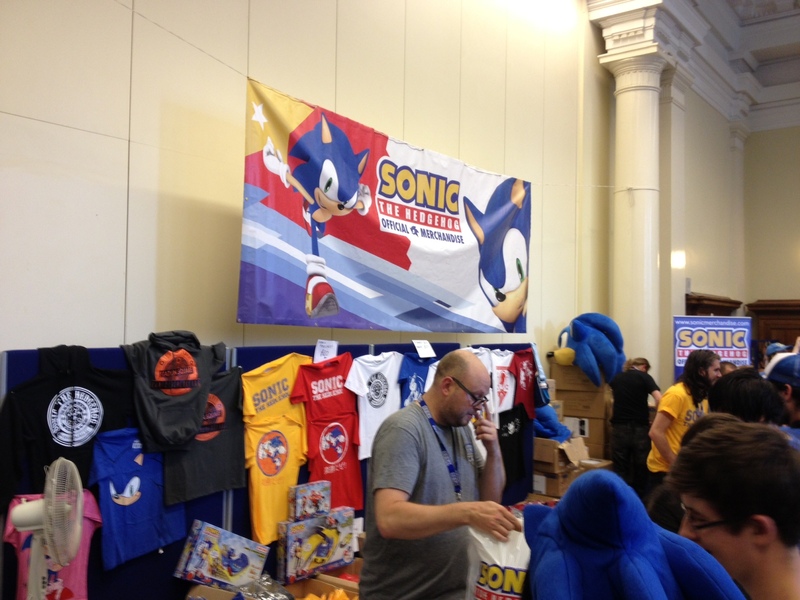 The stand where fans could purchase Sonic items. The ever popular art corner. SpecialEffect stand where fans could see what it would be like to play Sonic & All-Stars Racing Transformed with specialised quipment. 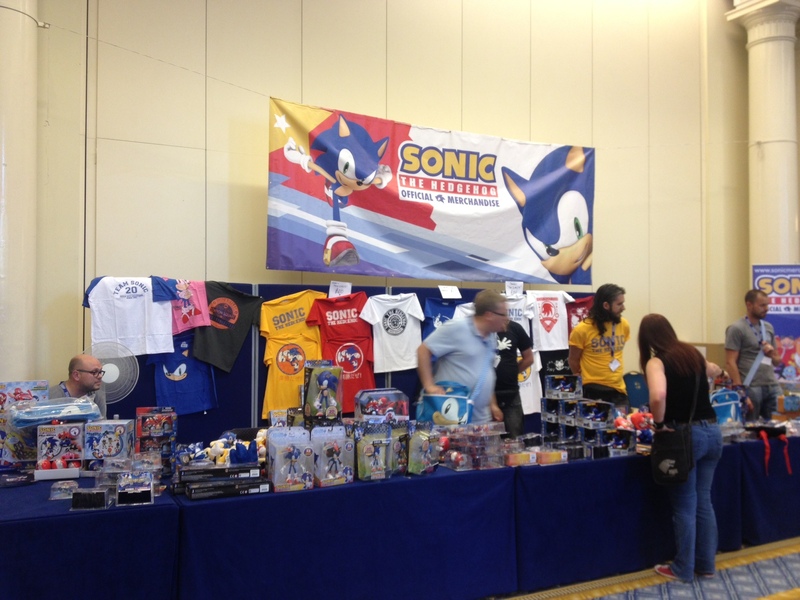 Look at all that Sonic merchandise. Jun and a few other special guests performing some of the best music tracks from modern Sonic video-games.